We have created a friendly atmosphere within our setting to ensure that every child is valued, nurtured and encouraged to become independent learners. Our staff carry out regular observations of every child to ensure that their learning and development incorporates their interests and needs. Your child's 'Key Worker' will keep you updated on your child's experiences at nursery, so you don't miss out on any aspect of your child's day. The Baby Room is designed for children aged three months to two years, with plenty of educational resources to support your child's learning and development. Each child will be allocated a 'Key Person' with whom parents can discuss their child's daily routine, likes and dislikes. The key person is a dedicated member of staff who fully understands the learning, development and care needs of your child. If you have any questions regarding our Baby Care Offers, please speak to a member of staff or email us here. Children aged between two and three will be placed in the Toddler Group either in the Baby or Preschool Room depending on their individual needs and development. If a child is currently in our Baby Room, we will work closely with parents on gradually introducing them to the Preschool Room. Each child will be allocated a 'Key Person' with whom parents can discuss their child's daily routine, likes and dislikes. The key person is a dedicated member of staff who fully understands the learning, development and care needs of your child. Children aged between three to five years will be placed in our Preschool Room. Each child will be allocated a 'Key Person' with whom parents can discuss their child's daily routine, likes and dislikes. The key person is a dedicated member of staff who fully understands the learning, development and care needs of your child. We promote independent learning through play and structured activities, including cooking, arts and crafts, singing and dancing, free flow play, yoga and more. We have one of the largest all weather nursery gardens in Camden. 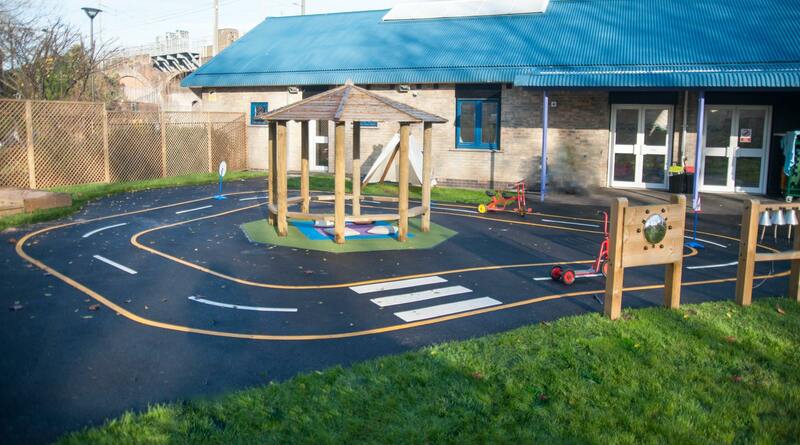 Our outdoor space has been designed for children aged up to 5 years to explore, learn from and enjoy in all types of weather. Children are free to roam and explore our garden throughout the day. It is highly secure and is covered by CCTV at all times. Risk assessments are carried out before any children are allowed to go outside, and children will be accompanied by staff members whilst playing outside.